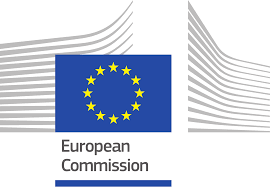 The European Commission JRC has circulated the pre-final STRUBIAS report, proposing EU Fertilisers Regulation criteria for phosphate salts and struvite, biochars - pyrolysis and gasification materials, and thermal oxidation materials (ashes). JRC has circulated the report to members of the official STRUBIAS Working Group and it can be consulted on the ESPP website here. It will be presented and discussed, as well as an update on the EU Fertilisers Regulation proposal, at the stakeholder meeting organised by ESPP in Brussels on 5th September. Please note that JRC will only accept comments on this report from members of the STRUBIAS Working Group (this includes: ESPP, DPP and several other ESPP members), so we invite comments to by 3rd September latest. All three STRUBIAS materials will be under Module D1 (Annex IV) conformity assessment procedure, that is production process quality assurance system is required, with a quality control system which is validated by a national notified body. The above are points initially identified by ESPP. These remain to be verified and completed, for which your input is important. Overall, the report concludes that “many STRUBIAS materials provide plants with nutrients, especially P, with a similar agronomic efficiency to mined phosphate rock and processed P-fertilisers”, that they provide an “added value material” for both conventional European agriculture and organic farming, and that they offer the potential to replace 17-31% of mineral phosphate fertilisers” in Europe. The European Commission’s STRUBIAS report (JRC 13/8/18) provides interesting proposed clarification of how the CMCs will apply in practice (CMC = Component Material Category) and in particular how CMC1 can be interpreted (CMC1 = “Virgin material substances and mixtures”). The JRC document indicates (page 26) that “no chemical reaction or transformation” must take place between CMC materials used in production of a fertilising product, because otherwise a new (potential) CMC effectively results, which must be assessed itself as a CMC. ESPP suggests the following example to illustrate: if plant extracted fibres such as coconut coir (CMC2 plant materials) are reacted with a mineral potassium solution (CMC1), the resulting material would need itself to be eligible as a CMC1, and so would have to be REACH registered for >100 t/y (and might be excluded from CMC1 because it is a polymer). The JRC report also includes p28 that a material can be CMC1 if the intermediates used in its production were formerly waste (cf. CMC1(1)(c)) on condition that these intermediates achieved End-of-Waste before being used in the production process and that they are chemically modified in the production process. ESPP suggests that if this logic is followed, then Cat1 animal by-product ash could be used in fertiliser production (irrespective of STRUBIAS criteria) subject to (a) End-of-Waste status of the ash (national or self-declaration) and (b) chemical modification of the ash in the fertiliser production process. 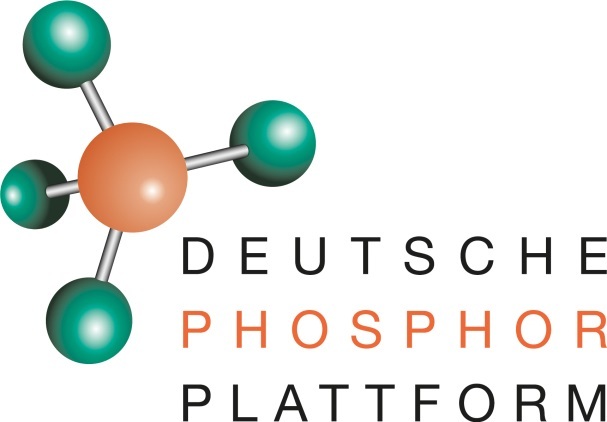 The German Phosphorus Platform DPP is looking to hire additional staff. A post is open for a project manager, responsible for the development of the continuously growing network of members, stakeholders and officials. A strong visibility during conferences and fairs plus networking skills are crucial. The job starts part-time at the beginning of October 2018, but will likely increase during the next months. Fluent German is essential. Application deadline: mid-September 2018. Applications by mid September deadline. Please be reminded of the call for data on processed manures to input to the EU Commission / JRC study for the Nitrates Directive. Please send – as soon as possible - any data relevant to nutrient leaching, agronomic performance, LCA or quality/safety of recycled nutrient products. The European Commission has opened a public consultation, to 29th October 2018, on the interface between EU legislations on chemicals (inc. REACH), products and waste. This follows Commission Communication on this question (16th January 2018). This legislation interface, including End-of-Waste status, application of REACH to “recovered” substances (e.g. struvite), status of by-products, is key to the development of the nutrient circular economy, and is a crucial aspect of the proposed new EU Fertilisers Regulation, which gives “product” status and End-of-Waste to materials recycled from wastes which achieve EU-Label Fertiliser classification. The EU LIFE TL-BIOFER project has developed a Pilot Plant of innovative Twin Layer (TL) technology for tertiary wastewater treatment through immobilized microalgae and bio-based fertilisers production from microalgae biomass. A 252 litre/hour prototype has been built and operated for last 24 months at El Viso-Villaralto WWTP in Córdoba (Spain). Results will be presented at the Final TL-BIOFER Workshop (registration), Tuesday 18th September, 2018 at CEBAS-CSIC Research Center in Murcia, Spain. You are invited to respond to a short questionnaire by 10th September to give your opinion on the potential and challenges of microalgae production as a wastewater treatment technology and as a circular economy route. 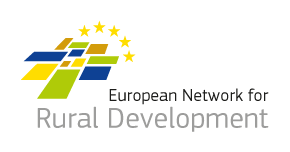 The European Network for Rural Development (ENRD) is looking for members for a new Thematic Group (TG) on ‘Mainstreaming the Bioeconomy’ within the broader multi-annual ENRD priority of ‘Supporting the transition to a green economy in rural areas’. In November 2017, the European Commission carried out a review of its 2012 Bioeconomy Strategy, which concluded that an update of its scope and planned actions is needed to better address EU political priorities and future challenges. The updated Strategy is due to be adopted by the third quarter of 2018. The growth of the bioeconomy into a sustainable business model, is also one of the priorities for the CAP post-2020, identified in the Commission Communication on the Future of Food and Farming and reflected in the legislative proposals for the new CAP. Drawing on the previous ENRD thematic work on the Transition to the Green Economy, Resource Efficiency, and Water and Soil Management in rural areas, this year's TG aims at encouraging the development of sustainable bioeconomy value chains that promote employment and economic growth in rural areas, while preserving their eco-systems. Main objectives are described here. It is envisaged to hold up to four TG meetings - one or more through video-conferencing - and a final seminar between October 2018 and July 2019. In between meetings, online exchanges and analytical activities - including the identification of relevant examples and good practices, interviews with stakeholders and analysis of relevant initiatives - will allow the group to investigate the topic in depth. If you are interested in becoming a member of the Thematic Group and/or being informed of its on-going work register hereby 3rd September2018.The first meeting of the Group will be held on Tuesday 9th October 2018. ESPP has commissioned an independent journalist to prepare an outline “Mission” on nutrients, to input to the EU FP9 (Horizon Europe) R&D programme preparation process. This document is based on input received from stakeholders consulted by SYSTEMIC, Biorefine, ESPP, ESPC3 and INMS (international nitrogen management system). The two page synthesis was submitted to the European Commission on 20th July 2018 in order to start discussion, and aims to provide an accessible overview, for strategic consideration in the EU programme content definition process. You are invited to already contact your National R&D Contact Points (list here: https://erc.europa.eu/national-contact-points) to ask them to support towards the EU the inclusion of nutrients in FP9 Horizon Europe. Input and comment is welcome to adjust and develop this nutrients Mission proposal. On 1st June 2018, the European Commission published the legislative proposal for the Common Agricultural Policy (CAP) after 2020. Objectives are announced as fairer funding targeting (including limiting payments to 100 000 € per farm), higher environment and climate action objectives (in particular: preserving carbon rich soils such as wetlands, obligatory farm nutrient management tool, crop rotation) and tighter food safety (reducing pesticides, antibiotics). Art. 3 fixes that Member States shall establish a system of “Farm Sustainability Tool for Nutrients” and this is specified in Annex III “Rules of conditionality” (GAEC 5) – see detail below. The payment conditionality requirements (Annex III) also include (SMR 1) respect of the EU Water Framework Directive (and specifically “Article 11(3)(e) and Article 11(3)(h) as regards mandatory requirements to control diffuse sources of pollution by phosphates”) and (SMR 2) respect of the EU Nitrates Directive, as well as (GAEC 4) buffer strips (both within and outside Nitrate Directive Vulnerable Zones), tillage management (GAEC 6) and no bare soil in most sensitive periods (GAEC 7). Nutrients are also included in the CAP indicators (Annex I): “I.15 Improving water quality: Gross nutrient balance on agricultural land” and “1.16 Reducing nutrient leakage: Nitrate in ground water - Percentage of ground water stations with N concentration over 50 mg/l as per the Nitrate directive”. • A complete nutrient budget. • Guarantees for data security and privacy in line with best current standards. The CAP legislative proposal will now go to discussion by European Parliament and Council, a process in which stakeholders (including ESPP) will make input and representations. Following action brought by the European Commission, Spain has been fined 12 million € by the European Court of Justice (ECJ) for failure implement the Urban Waste Water Treatment Directive 1991/271, plus 11 million € per six month period until compliance is achieved (expected maybe in 2019). 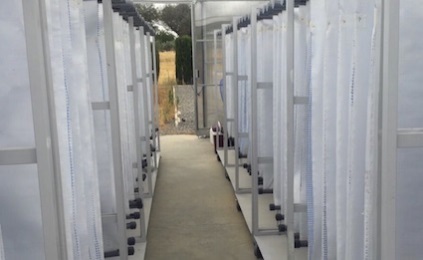 In 2011, the ECJ found that Spain had not installed adequate collection and treatment of sewage in 43 agglomerations of 15 000 population equivalent (despite the deadline of year 2000 fixed in the Directive) and in 2017 the ECJ found that compliance was still not in place in 17 of these agglomerations, with significant negative effects on the environment. Also following action by the European Commission, Italy has been fined 25 million €, plus 30 million € per six month period, for similarly failing to implement adequate sewage collection and treatment in 74 agglomerations of 15 000 p.e. (109 agglomerations were without treatment in a first ECJ judgement in 2012). This follows fines of 5 M€ plus 3.3 M€ every six months imposed on Greece earlier this year for failure to respect the Urban Waste Water Treatment Directive, see eNews 21. The European Commission has also formal notices to Ireland for failure to implement the EU Drinking Water Directive (96/83), because of high levels of trihalomethane (which results from chlorination of drinking water) and to Italy for failure to implement the Urban Waste Water Treatment Directive (91/271) as regards collection and treatment of sewage in all agglomerations of 2 000 p.e. Commission infringement proceedings against Poland for failure to implement Vulnerable Zones in the Baltic catchment have however been stopped, considering that this is achieved by Poland’s new 2017 Water Act which designates the whole country as a Vulnerable Zone and extends a new nitrates Action Programme to the whole national territory. 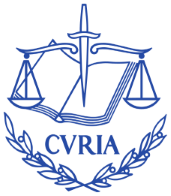 In Germany, the NGO Deutsche Umwelthilfe (DUH) has taken the government to the national court over nitrates in groundwater, following the European Court of Justice condemnation of Germany for failure to respect the Nitrates Directive (see eNews n°24). DUH indicates that the EU limit of 50 mg nitrates per litre in drinking water is exceeded at nearly one third of monitoring sites. The agglomerations still without adequate sewage treatment in Italy are Acri, Siderno, Bagnara Calabra, Castrovillari, Crotone, Mesoraca, Montebello Ionico, Motta San Giovanni, Reggio Calabria, Rende, Sellia Marina, Soverato, Rossano, Battipaglia, Benevento, Ischia, Casamicciola Terme, Forio, Napoli Est, Cervignano del Friuli, Trieste-Muggia-San Dorligo, Albenga, Rapallo; Apulia Regon: Casamassima, Porto Cesareo, Adrano, Catania, Palermo, Misterbianco, Aci Catena, Giarre-Mascali-Riposto et autres, Caltagirone, Aci Castello, Acireale et autres, Belpasso, Gravina di Catania, San Giovanni La Punta, Agrigento, Porto Empedocle, Sciacca, Cefalù, Carini & Asi Palermo, Santa Flavia, Augusta, Marsala, Messina, Pace del Mela, Ribera, Trabia, Scicli, Milazzo, Rometta, Ragusa, Palagonia, Consortile Sant’Agata, Militello, Capo d’Orlando, Consortile Torregrotta, Gioiosa Marea, Macchitella, Patti, Castelvetrano, Mazara del Vallo, Furnari, Misilmeri, Campobello di Mazara, Triscina Marinella, Favara, Scordia-Militello Val di Catania, Tremestieri Etneo & Niscemi. 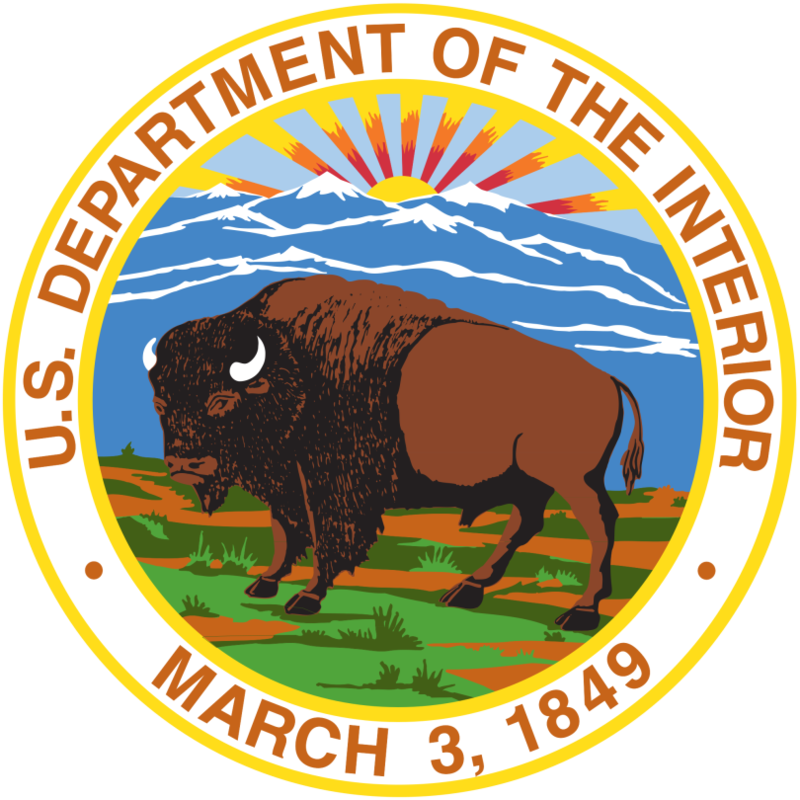 The US Department of the Interior has published a list of 35 mineral commodities considered “critical to the economic and national security of the United States” and which will be the focus of President Trump’s strategy to end dependence on foreign mineral supplies. The list has been drawn up by USGS (US Geological Survey) after a public comment process (over 450 public inputs). The Commerce Department will now draw up a strategy to reduce dependence on these minerals, including alternatives, recycling, trade, exploration and mining of resources in the US. The list of 35 critical minerals adopted includes potash (potassium) and magnesium (“used in furnace linings”) but not phosphorus/phosphate rock. The USGS report behind the list does however cite phosphate as one of a number of other “important mineral inputs into the chemical industries or agricultural sector … These materials are not considered critical in the conventional sense because the United States largely meets its needs for these through domestic mining and processing” (ESPP note: the US does have significant phosphate rock mines meeting over 90% of domestic demand, unlike Europe which is 90% dependent on imports). 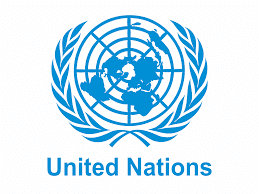 Developed to respond to UN Environment Assembly and UN Committee on Agriculture (COAG) objectives and to implement the Food and Agriculture Organization (FAO) Voluntary Guidelines for Sustainable Soil Management (2016), this proposed Code aims to provide a locally adaptable framework and voluntary set of practices with which governments, the fertiliser industry, agricultural extension and advisory services, farmers and stakeholders can contribute to sustainable agriculture and food security from a nutrient management perspective. In particular, the Code aims to assist countries in establishing systems for monitoring fertiliser trade, quality and management and for promoting their efficient and effective use. The Codes’ objectives include to “Promote recycling of nutrients for agricultural and other land uses to reduce the environmental impacts of excess nutrients in the biosphere”. Chapters are: soil fertility and plant nutrition, fertiliser use and management, nutrient use and recycling, composition and testing, access and labelling, information, monitoring and observance. The Code has been developed by the Intergovernmental Technical Panel on Soils (ITPS) of the Global Soil partnership (GSP) and FAO through an inclusive consultation process and was published in June 2018 as a “zero-draft”, now under finalisation. The Norwegian Research Council (BIONÆR programme) is funding work that aims to evaluate pathways towards phosphorus independence in the Norwegian bio-economy (MIND-P project). A central component of the project is, through working with stakeholders, to develop a phosphorus platform in Norway and a phosphorus roadmap for Norway. Existing data shows that secondary phosphorus resources in Norway are mainly in farm manure and aquaculture excrements (“fish sludge”), with the latter likely to increase by up to five times in coming decades. The MIND-P project will look at the spatial distribution of these secondary P resources, options to collect, transport and re-use them, quality questions and issues with toxicity (e.g. heavy metals in fish sludge), nutrient plant availability, economic and technological aspects and producer and consumer acceptance of recycling. 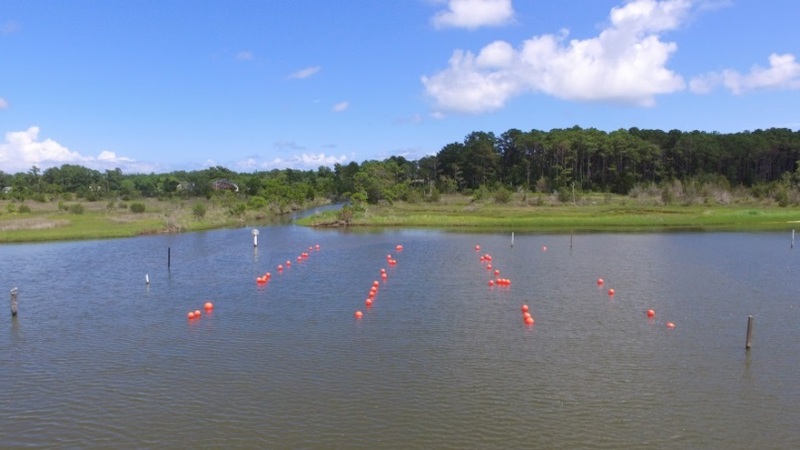 In May 2018, a US-based start-up known as Phyta installed a 0.06 hectare seaweed farm in Nelson Bay of Core Sound, North Carolina to demonstrate the potential of temperate-water seaweed cultivation to address environmental remediation and marine conservation objectives. Phyta’s rig structure is designed with a network of submerged lines, held by floor anchors and small surface buoys. The lines are seeded with seaweed species that are native to the coastal marine environment of the southern US. Phyta seeks to produce high quality seaweed that can be used in plastic production or animal feedstocks, whilst achieving carbon sequestration, nitrogen removal, and phosphorus recycling. The venture is a finalist for the Hult Prize - an international competition associated with the Clinton Foundation and the United Nations. Fraunhofer IWS and the company DiaCCon, a leading manufacturer of diamond electrodes, are researching a process to degrade organophosphorus compounds (such as phosphonates, phosphinates) and inorganic phosphates (such as phosphites) to soluble orthophosphate, as well as breaking down residual COD. This addresses pollutants in industrial waste waters which to date have received little attention. The proposed “ElPhoDia” process uses diamond electrodes which generate strongly oxidating OH- radicals. The soluble orthophosphate can then be recovered by precipitation or adsorption processes. The 18 month project has obtained funding from the German Federal Environment Foundation (DBU) and aims to build and test a small scale plant and then to scale up at two sites for testing in real industrial wastewaters. Two industrial partners, Mitsubishi Hitachi Power Systems Europe and Clariant Products Germany, are associated and will be involved in the process development. Other projects underway at Fraunhofer include PRiL, development of fertiliser products from phosphate recovered from sewage sludge incineration ash bio-leaching (based on P-bac process) and SuPaPhos, phosphorus removal and recovery from wastewaters using magnetically separable ion exchange composites.